Líkt og blóm í haga er fyrsta einkasýning á verkum Jonasar Mekas á Íslandi. Francesco Urbano Ragazzi er listrænn stjórnandi sýningarinnar. Sýningin hverfist um augnablik úr ævisögu Mekasar og leyfir áhorfendum að púsla þeim saman eftir eigin höfði. 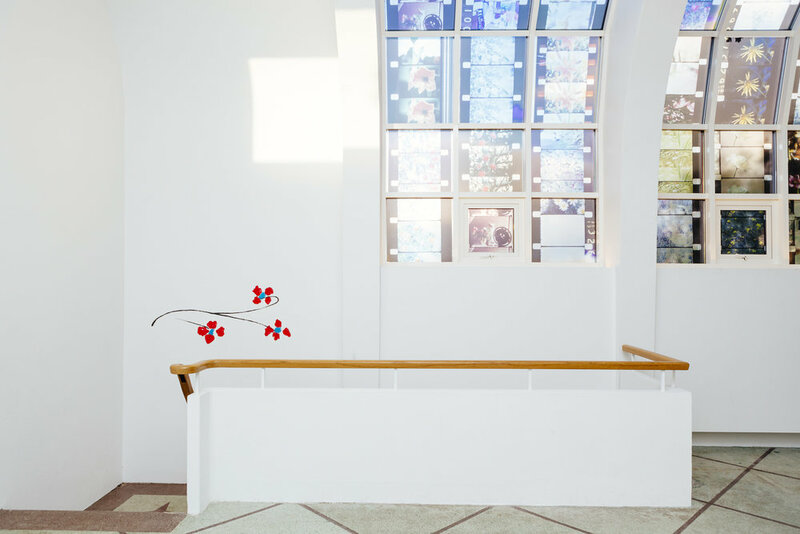 Like a flower in a field is the first solo exhibition of Jonas Mekas’ work in Iceland, curated by Francesco Urbano Ragazzi. The exhibition presents fragments of Mekas’ life story, letting the viewer recombine them in free associations.